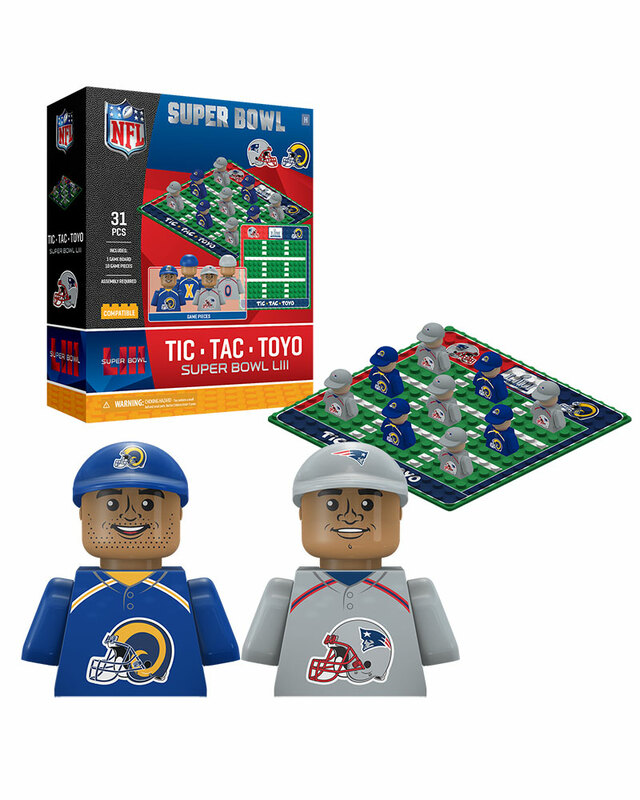 Our minifigure take on the famous game Tic Tac Toe, this version, pits Pats fan against Rams fan. Special minifigure style pieces do battle as X’s and O’s for each team. 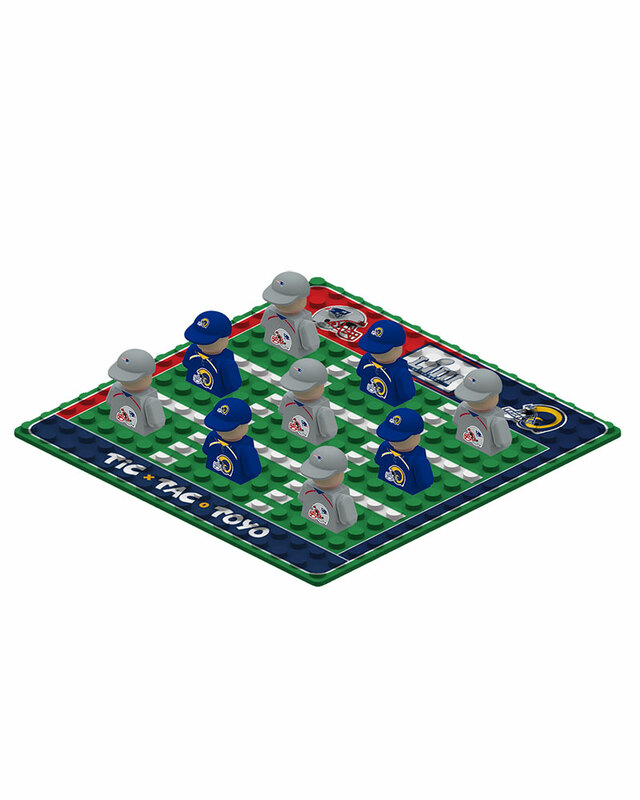 This game is played on a special Tic Tac Toyo printed board, complete with printed team logos and a baseball theme for the borders. 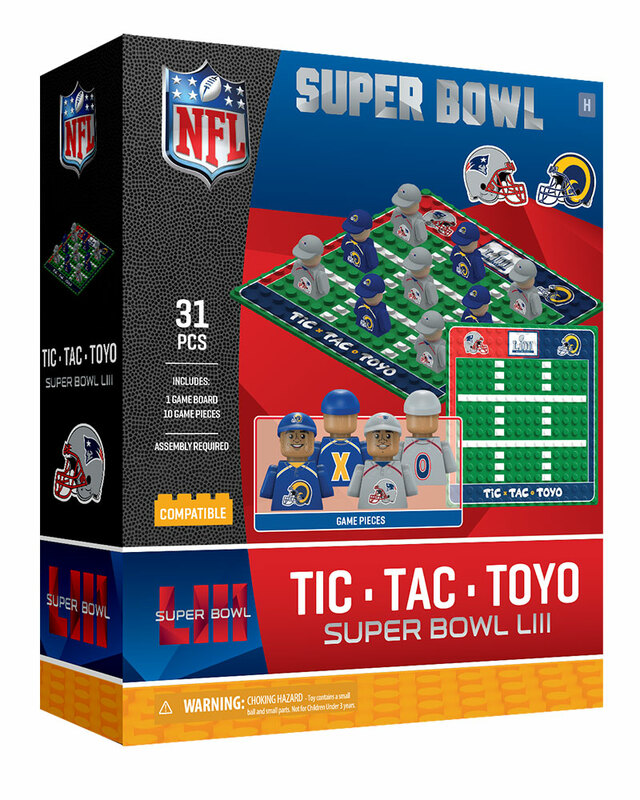 Rams X's and Pats O's are printed on the backs of the different color jerseys just to make it clear which team is which as you compete with friends for Super Bowl Tic Tac Toyo supremacy. This is the only Tic Tac Toe game that uses construction toy pieces and will play with other fun building sets. Fun game play for the biggest (and littlest!) sports fan in your life. The perfect gift for sports fans of any age. 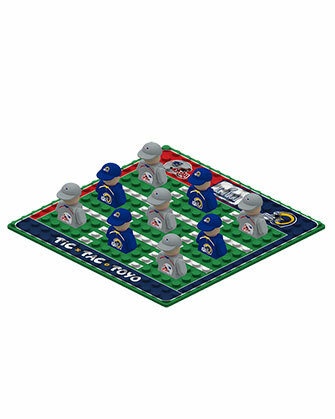 •	Your playing piece is digitally printed in your team colors and cap! •	10 minifigure pieces per set, 5 of each side. •	Printed and assembled in the U.S.A. of globally sourced parts.